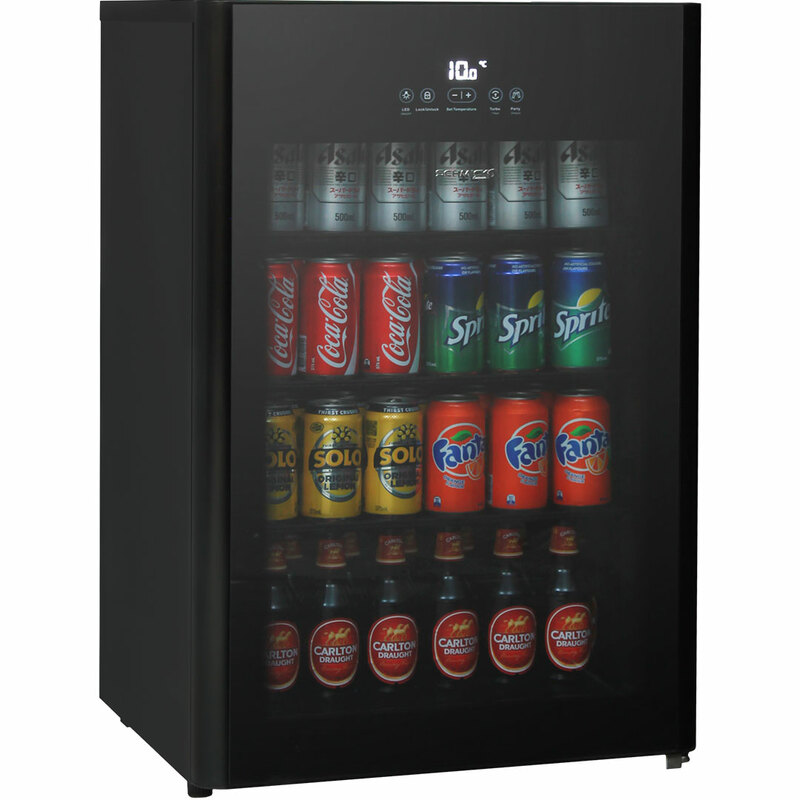 Designed to run at -5°C (minus 5°C), truly a great fridge for those that love their drinks ‘on the cusp’. 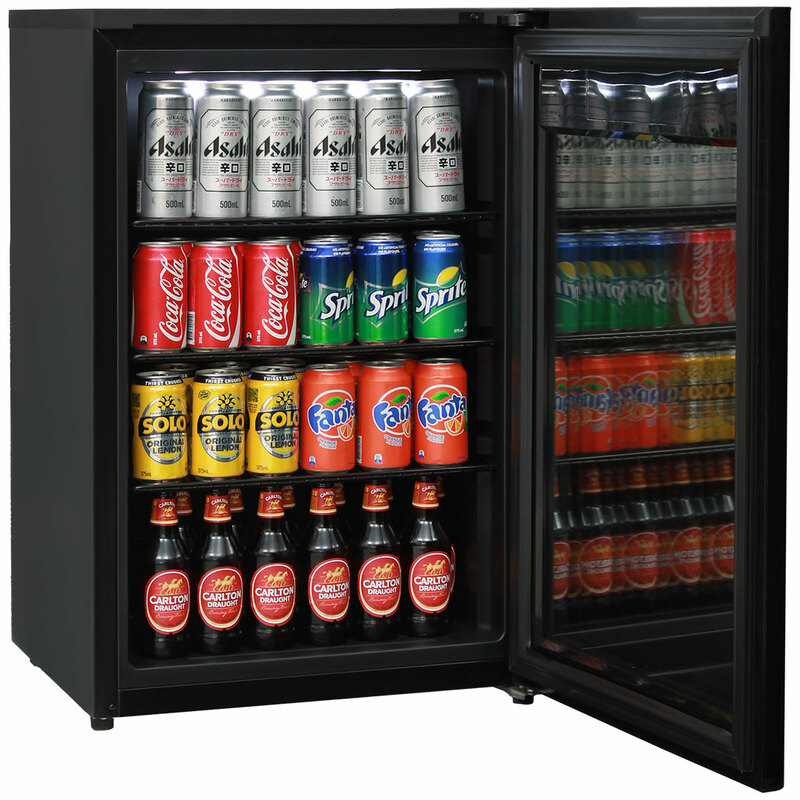 Coldest Alfresco Beer Fridge Possible is available with this specially designed under zero bar fridge. You can choose your temperature with a simple touch button control and then you have 2 x special choices to make drinks cold, the TURBO mode gives 1 hour at -5, and Party Mode runs at -5 to ensure the coldness in times of extreme need. Black body and black glass door with modern design. 108 litre and fits 108 x cans really easily. Heated glass door stops condensation, great for areas with hard wood floors or tiles. Ambient temperature operation great in up to 43°C. 5 x Height adjustments: 210, 250, 365, 475 and 520mm high. Step in fridge is 205mm deep and step height is 210mm high (so the floor holds less). Inner fan for great air circulation, unique inner design to distribute air evenly. *Turns OFF when door opens keeping cold in. White LED light switchable ON/OFF from front touch panel. Special TURBO mode button, chills to minus 5 (-5°C) for 1 hour. Special PARTY mode button, chills to minus 5 (-5°C) until you press party button again (*NOTE: manual is wrong, it says party mode auto stops at 6 hours).